Congratulations on your acceptance to Northern Arizona University! Students that are fully admitted (including having submitted financial documents) should complete the steps below. Complete the enrollment form online. Submit your photo for your NAU JacksCard. Please refer to your admission letter to find your unique NAU User ID. You must set your own password online for your NAU User ID. This activates your student account and official NAU email. Your online student account is where you register for courses, check your grades, schedules, financial accounts, and other information about your academic life at NAU. Students should always communicate with NAU representatives using their NAU email account. On-campus housing is popular and space is limited. You must apply and pay the application fee and rent confirmation to be considered for housing by the priority dates. Housing on campus is not guaranteed. You will need your LOUIE login to apply online with NAU Residence Life (including the International House at NAU). If you experience difficulty with your login or password, assistance is available. To obtain a visa, you must pay the SEVP I-901 fee, which you can pay online or by contacting the U.S. Embassy in your area. Additional information on the SEVIS fee payment and visa application process are available on the Study in the States website. Information on how to obtain a student visa can be found online. In order to add, drop, or switch courses students must submit the MMR Immunization Form. The form can be submitted online. All students are automatically enrolled in the NAU Insurance. This is required by law. Students should print and keep a copy of their ID Cards and review the Insurance Policy. Please forward any updated transcripts and/or exam results to studynau@nau.edu. This information is needed for your permanent student record. Transfer students must submit a copy of course descriptions and course syllabi. It is strongly recommended that this material be provided prior to arrival on campus. This information needs to be in English and will be needed by your academic adviser before your advising session at orientation. Visit the International Student & Scholar Services’ website for International Student Orientation information. Review the information carefully, and plan to arrive early so that you may participate fully in the orientation. Priority Enrollment is only for incoming degree seeking students. Please complete the online Priority Enrollment Profile. 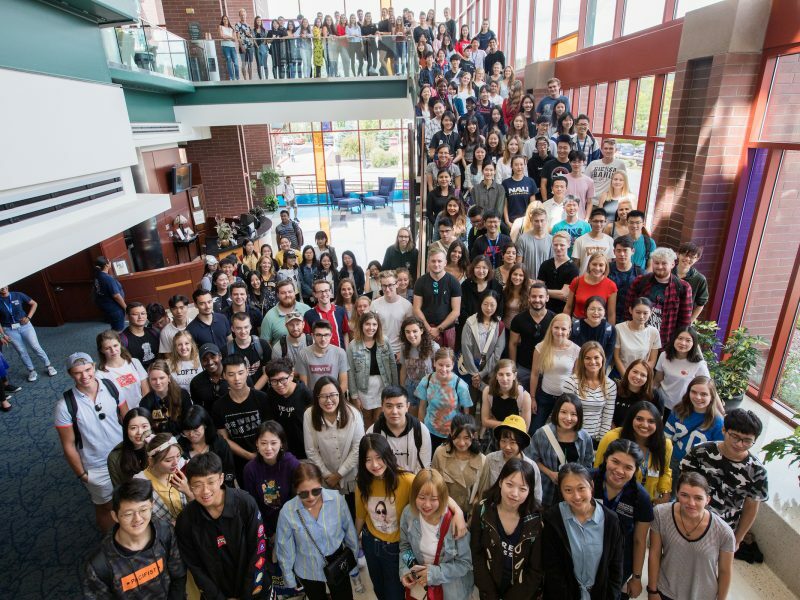 Based on the information you submit in the profile, your academic adviser will enroll you for FALL or SPRING semester classes before you arrive at NAU for International Orientation. Seats are reserved, and limited! Get started on the right foot at the university—get enrolled in classes you need for your degree by completing Priority Enrollment. If you have any questions, please contact us at studynau@nau.edu. We look forward to welcoming you at Northern Arizona University!